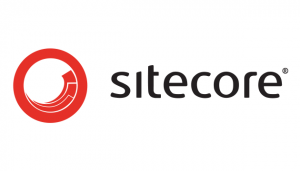 On June 20th, we will be upgrading the Sitecore server to version 8.1. Due to the update process, the Sitecore authoring environment, wcmstage.smu.edu/sitecore, will be unavailable for the entire day starting at 7 AM. The public-facing environment of www.smu.edu will continue to be available during the upgrade. If there is a need for emergency updates, changes can be accommodated through submitting a Help Desk support ticket. Significant changes to Web Forms in Sitecore Upgrade. The Web Forms for Marketers (WFFM) module is the Sitecore feature that allows you create web forms using the Sitecore environment. In the previous version, an editor had the ability to review submitted data directly within Sitecore. In the 8.1 update, reviewing of data will only be possible by exporting the data to Excel or from the sent email when a form is submitted. With the 8.1 update, we will also be starting fresh with new WFFM data. While all web form data will be cleared with the upgrade, your previously created web forms will remain and continue to work. The Web Team will export all current data for the forms to Excel files, then provide those files to the respective web captains. If you have any questions are concerns, please feel free to contact the Help Desk at 214-768-HELP. Page updated to include webinar information. Next Next post: LinkedIn & Lynda.com: The Dynamic Duo!